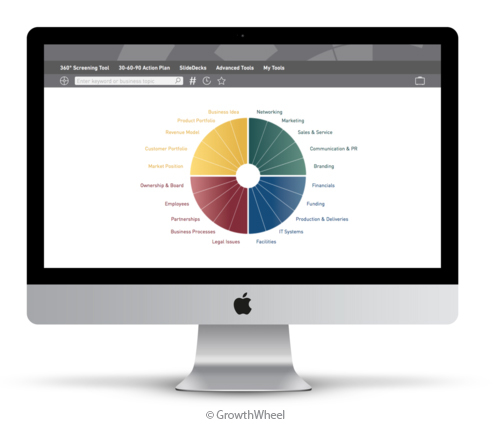 GrowthWheel is a visual toolbox for decision making and action planning for startup and growth companies. It helps entrepreneurs build their businesses through a simple action-oriented process that stays true to the way most entrepreneurs think and work. 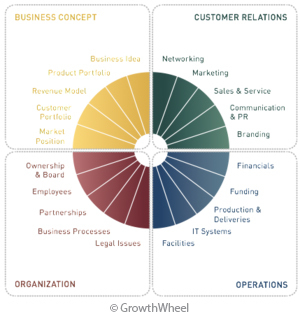 GrowthWheel was designed around the observation that all businesses – in all industries and life stages – have four lasting challenges in common: They must create an attractive Business Concept, build a strong Organization behind it, develop lasting Client Relations and do so while maintaining profitable Operations. The GrowthWheel tool is used by SBDC advisers and clients to map out business decisions and address challenges. The software is available for free to SBDC clients working with advisers. Meet with an adviser at your local center to access this helpful tool! Connect with your center today.